Imam in Raleigh, North Carolina, invokes Islamic text that prophesies the killing of Jews by Muslims during a sermon at a local mosque. 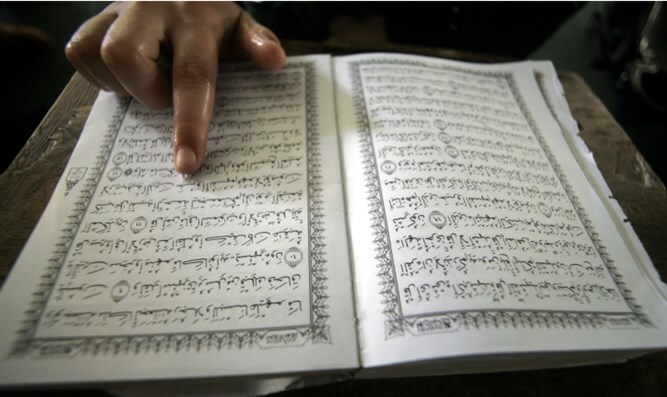 An imam in Raleigh, North Carolina, invoked an Islamic text that prophesies the killing of Jews by Muslims during a sermon at a local mosque. Abdullah Khadra made the statements in a sermon early last month two days after President Donald Trump announced that the United States recognizes Jerusalem as Israel’s capital. “It is not new that the neighboring parts of Al Quds (Jerusalem) which is Palestine – Jaffa, Acre, and Haifa, those cities that have been changed in their names and their people, we should never forget that this is a Muslim land,” Khadra said in his sermon. A video of the imam’s speech was first translated and distributed Monday by the Middle East Media Research Institute, or MEMRI. Khadra invoked a Muslim text, called a Hadith, stating that on Judgment Day, the Muslims will kill the Jews. The same text was used on the same day by a Houston imam, Raed Saleh Al-Rousan, of the city’s Tajweed Institute. He also referred to the Western Wall, which he said the Jews had appropriated from the Muslims. “The wall at which [the Prophet Muhammad] tied his camel or animal is reserved by the Muslims. It is called the ‘Wall of the Ascent to Heaven’ or the ‘Wall of Buraq.’ Even that wall – those occupiers made some legends, and they made it their own wall, and they distorted the facts,” he said. Khadra, a Syria native, came to Raleigh in 2011 after being cleared for entry to the United States on a religious work visa and later applied for political asylum. He is an active preacher in several mosques in the Raleigh area, according to MEMRI.